Before we go deeper into XPATH injection lets take a brief look at what XML and XPath. XML stands for Extensible Markup Language and was designed or used to describe data. It provide platform for programmers to create their own customized tags to store data on database server. An XML document is mostly similar to an RDBMS Database except for the way data is stored in them. In case of a normal database, data is stored in a table rows and columns and in XML the data is stored in nodes in a tree form. XPath is a query language used to select data from XML data sources. It is increasingly common for web applications to use XML data files on the back-end, using XPath to perform queries much the same way SQL would be used against a relational database. XPath injection, much like SQL injection, exists when a malicious user can insert arbitrary XPath code into form fields and URL query parameters in order to inject this code directly into the XPath query evaluation engine. Doing so would allow a malicious user to bypass authentication (if an XML-based authentication system is used) or to access restricted data from the XML data source. The above code show how username,password and user account details stored in XML file. As in most of the common SQL Injection attack, we have created a query that always evaluates to true, which means that the application will authenticate the user even if a username or a password have not been provided. And as in a common SQL Injection attack, with XPath injection, the first step is to insert a single quote (') in the field to be tested, introducing a syntax error in the query, and to check whether the application returns an error message. If there is no knowledge about the XML data internal details and if the application does not provide useful error messages that help us reconstruct its internal logic, it is possible to perform a Blind XPath Injection attack(i will explain that in next tutorials), whose goal is to reconstruct the whole data structure. 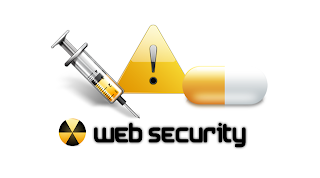 The technique is similar to inference based SQL Injection, as the approach is to inject code that creates a query that returns one bit of information.